Boise Style: Good Basic Pattern Mixing . . .
Good Basic Pattern Mixing . 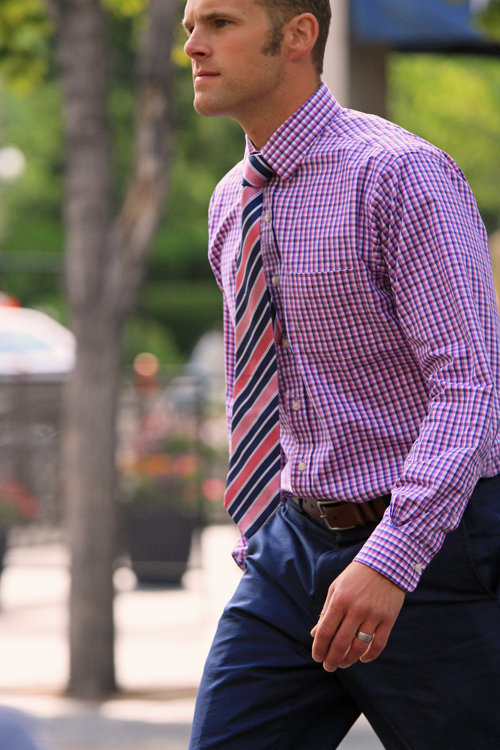 . .
A stripe repp tie on a trim-fit gingham check shirt.